Katalog kapsli polskich - Collect with us! 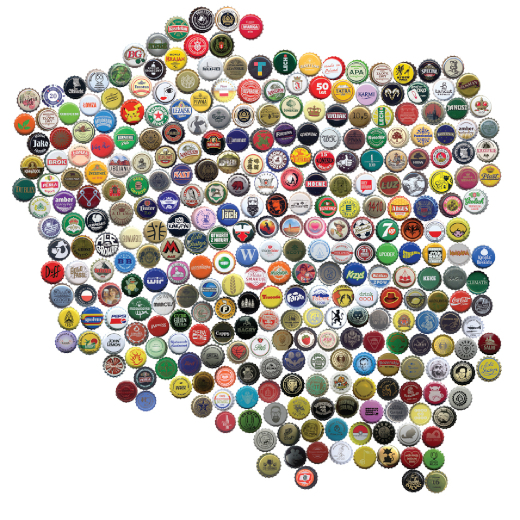 Welcome to the Catalogue of polish caps! This catalogue was created to help collectors to organize and enlarge collections by automating the process of finding partners for exchanges. Absolutely for free you can sign up and complete your missing list, which then you will be able to compare with any of the hundreds of registered collectors. If you decide to support our project, you will get access to several additional features such as the ability to print your own list of deficiencies, advanced statistics, automatic partner searching; you will get the opportunity to see how rare the cap is and much, much more! Join today to rapidly growing community of collectors of bottle caps! In our catalogue we have over 7 800 different patterns of caps which collectors have added to the collection over 1 150 000 times!